Rejoice, chocolate lovers! You no longer need to ask yourself, “Is dark chocolate healthy?” With a few guidelines—and keeping in mind the phrase “everything in moderation”—you can go ahead and indulge without guilt. 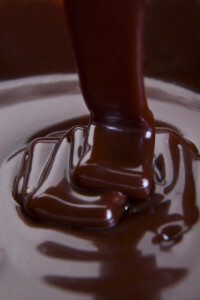 The smell of chocolate can increase theta brain waves, which triggers relaxation. 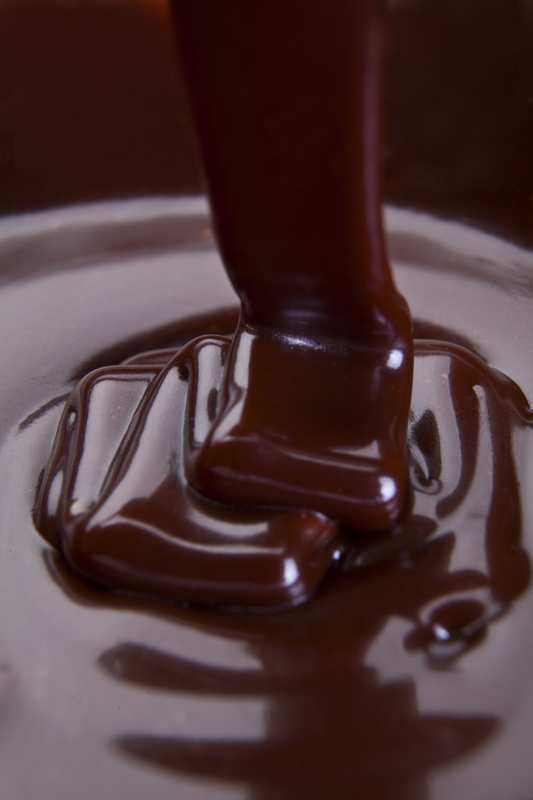 Fortunately, small amounts of quality-made dark chocolate can offer awesome health benefits. Here are five reasons to enjoy it without guilt. 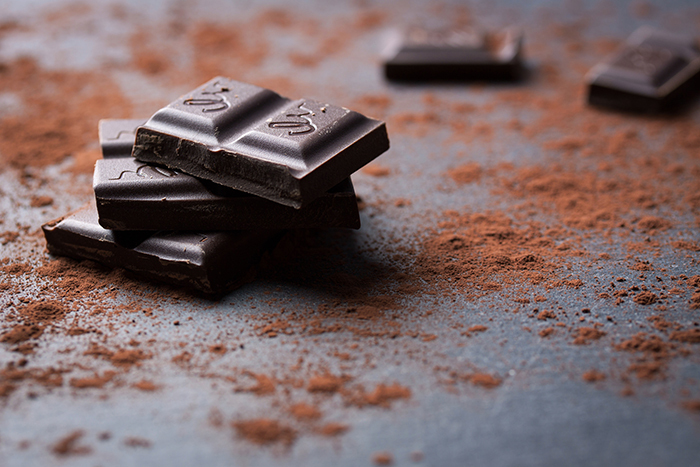 Why is dark chocolate good for you? 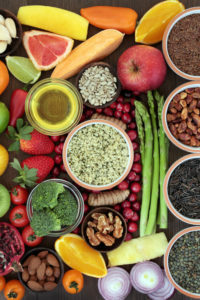 It contains a high amount of polyphenols, phytochemicals that have been shown to improve depression, anxiety, and other symptoms of chronic fatigue syndrome. Is dark chocolate healthy? Besides being a mood food (doesn’t the sight of it put you in a good mood? ), it can have memory and cardiovascular benefits. 2. Dark chocolate can boost your memory. Once again, flavanols get the credit—this time, for their effect on the regions of the brain, especially the hippocampus, that involve learning and memory. They increase blood flow to the brain as well as promote the growth, functioning, and connections of neurons, according to a recent study. 3. Dark chocolate can make you more alert and attentive. 4. Chocolate acts like a probiotic in your digestive system. 5. It can improve your cardiovascular health. Is Dark Chocolate Healthy in All Cases? While dark chocolate can play an important role in your diet, it can be easy to overlook the fact that—depending on the brand—it can be quite high in fat and sugar. Therefore, moderation is key. Medical professionals recommend consuming 1.5 to 2 ounces of dark chocolate containing 70-80 percent of cacao a day to receive the health benefits. Any additional amount may introduce too much fat and sugar into your diet. If you’re not a huge fan of dark chocolate, just a small square 2 or 3 times a week still offers heart health benefits. And while truffles filled with caramel, ganache, and fruit preserves are delicious, they’re probably going to sabotage your nutritious eating plan. It’s better to pair dark chocolate with nuts, seeds, and dried fruit for a protein-rich afternoon snack. Excellent info on Dark chocolate. Thank you! Why no mention of the extra benefits of Organically grown cacao? Hi Dennis, this article won’t be the last time UHN covers the benefits of chocolate/cocoa/cacao since there are so many. (In fact, we have about four others already posted on the site.) Thanks for the idea! WHAT’S THE DIFFERENCE BETWEEN DARK CHOCOLATE AND MILK CHOCOLATE? WHICH IS BETTER? very explanatory. Some health drinks indicate”dark chocolate” on their cans. Does this type of drink give an adequate amount of “dark chocolate”?